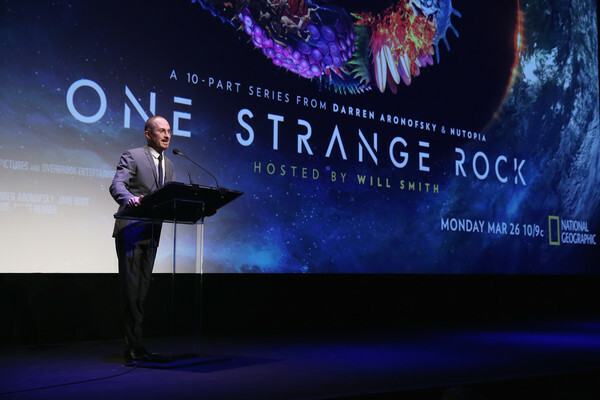 Director Darren Aronofsky speaks onstage at National Geographic?s world premiere screening of ?One Strange Rock? on Wednesday, March 14, 2018 in New York City. Hosted by Will Smith, ?One Strange Rock? is a mind-bending, full-sensory journey across 45 countries, six continents and outer space, exploring the wonder and fragility of our curiously calibrated Earth.